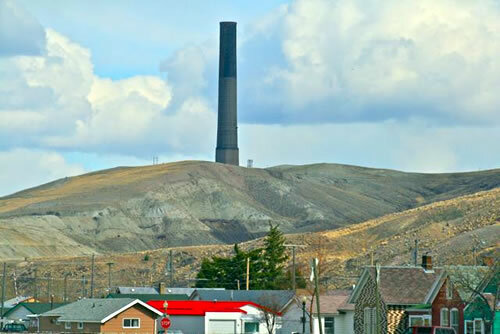 The smelter stack stands 585 feet and could swallow the Washington Monument. It is the largest freestanding masonry structure. View from an interpretive site at Benny Goodman Park.